Have you ever gone down to your boat and the wind was blowing very hard and you and your crew decided not to go out? If you were signed up for a race that evening you would be sailing. Have you ever gone down to your boat and the lake was calm and there appeared to be no wind so you and your crew decided to go to the bar instead? If you were signed up for a race you would be going sailing. Have you ever looked at the weather forecast and saw that storms were predicted and you and your crew decided to stay home and watch TV… then the predicted storms never came? If you were signed up for a race you would have gone sailing. Racing makes you a better sailor. Too much wind, no wind or predicted storms will not stop you from going out and racing. Because you go sail in varied conditions while racing you gain experience in all types of weather and wind and water conditions. This makes you a better sailor. When you go out on a “pleasure sail” you usually sail your boat in the direction that makes the boat go fastest. When you race your boat you are forced to go in the direction of the racecourse and you have to figure out how to make your boat go fast for that point of sail. You learn a great deal about sail trim, and helmsmanship when forced to go a direction that you would not normally choose to go. Racing promotes teamwork and learning among all members of the crew. Everyone on the boat will have a task and will participate in the operation of the boat. Everyone learns how to sail the boat, what works and makes the boat go fast and what does not work and slows the boat down. Sailboat racing is fun. There is nothing better that the sail back to the dock after the finish of the race. This is where discussions and debate happen regarding what worked and what did not. These discussions will help everyone on the crew do better in the next race and are great friendship building experiences. This form of “debriefing” also goes well with an after race beer. Don’t let weather or lack of weather keep you and your boat at the dock. 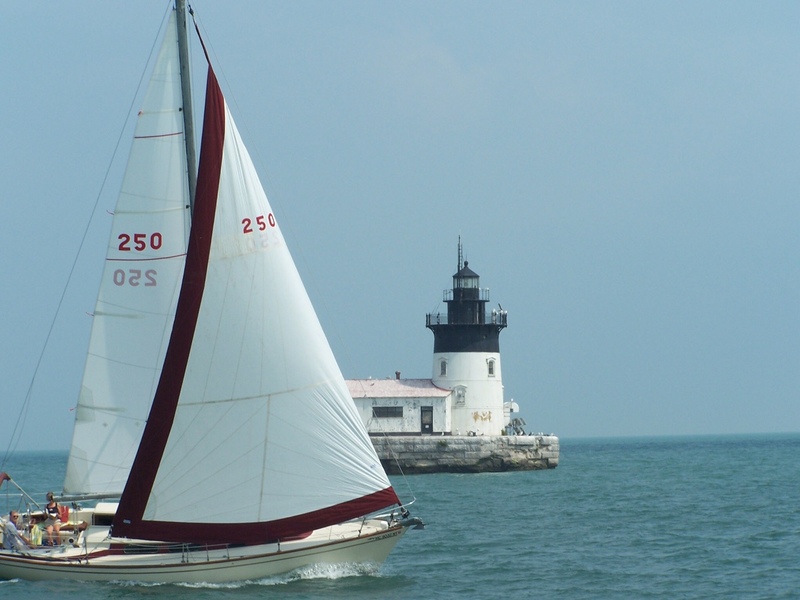 Participate in sailboat racing and learn to sail in all types of weather and at various points of sail.